Part of the reason I thrift shop is because I don't want to settle for bland clothes with crap fabric. Even if that was my goal, I could find it in a thrift store and much better prices. 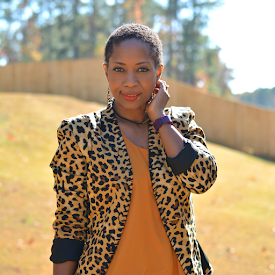 I do not want to compromise my style or my taste. Not with my fashion choices and definitely not with my food choices. No bland foods for me. I care about what I put in my body but I will not sacrifice taste. I just snack smarter. 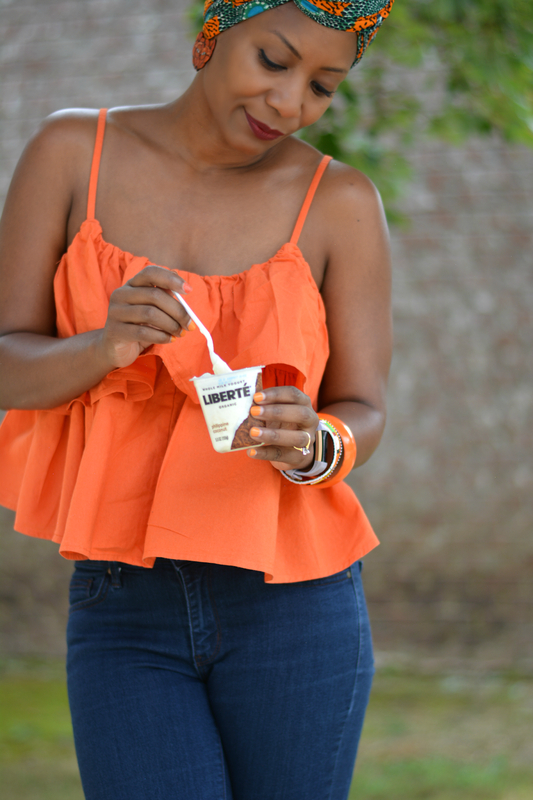 Liberté yogurt helps me do that. I don't believe in comprising on taste or experience in all that I do and definitely not with what I eat. Healthier lifestyle means I have to make smarter food choices. They're not always good or bad. It's all balance. I like flavorful foods that will satisfy. I tend to eat a lot of fruit when I'm having a snack attack. When I'm looking for something a little more decadent, I move on to a far more indulgent experience. 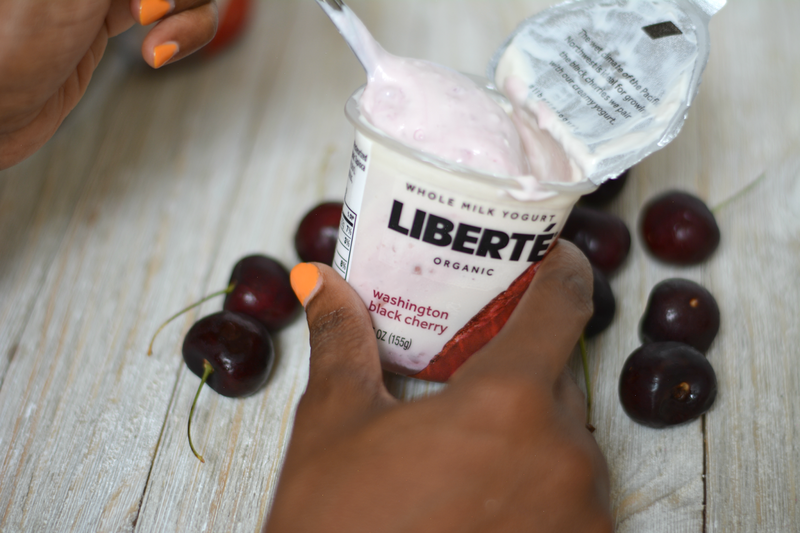 Liberté organic whole milk yogurt is mild and creamy with lots of flavor. It's definitely a good choice when I want a quick portable lunch or when I want a sweet treat. 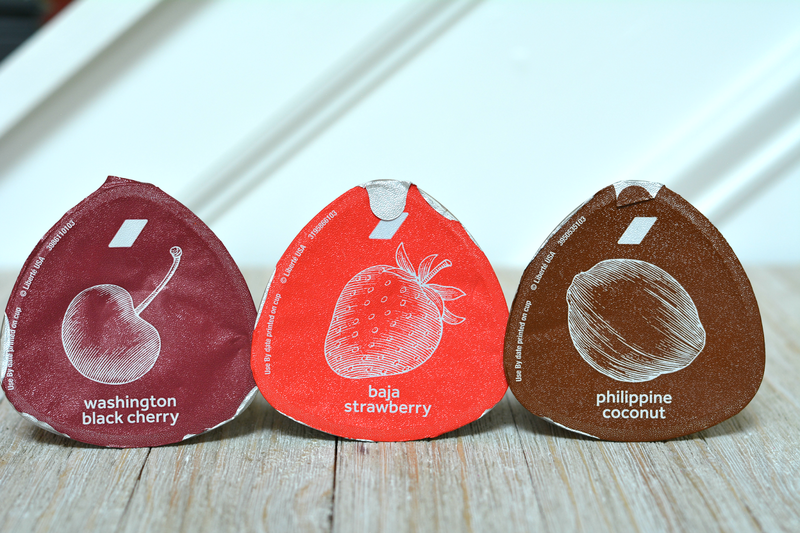 The fruit on the bottom of the cup is not overpowering and provides the right touch of sweetness. It's delicious, filling, and made with organic ingredients. It's been my go to dessert since I discovered it at my local Publix. Tropical storm Irma came through Atlanta and schools were shut down for three days. We were very fortunate to have not been inconvenienced beyond some light flickers and an internet outage. This has been a full and trying week. I have to say those unexpected three days with Violet and Mr. Cuddles (new puppy) were a challenge. I'm trying to take care of their needs and do my regular household stuff at the same time. Blogging did not happen at all. Needless to say, the house is kind of a wreck too. I deserve this treat and I feel good about having it in my body. 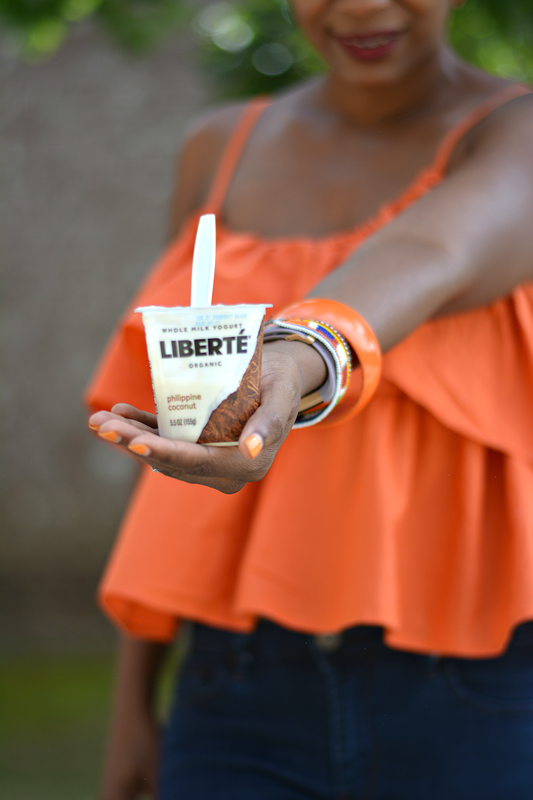 If you'd like the Liberté experience for yourself, you can clip the "get one free AND the save $0.30 on a cup" coupons on the Publix website. 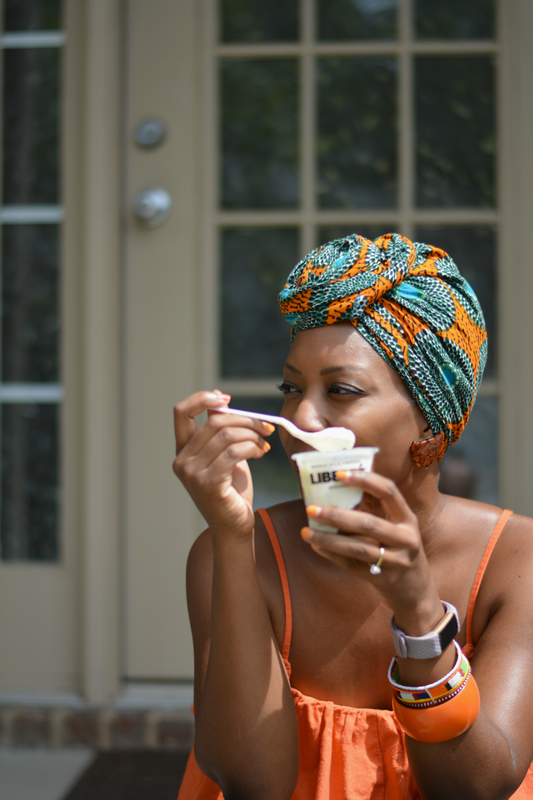 What's your Smart Snack? 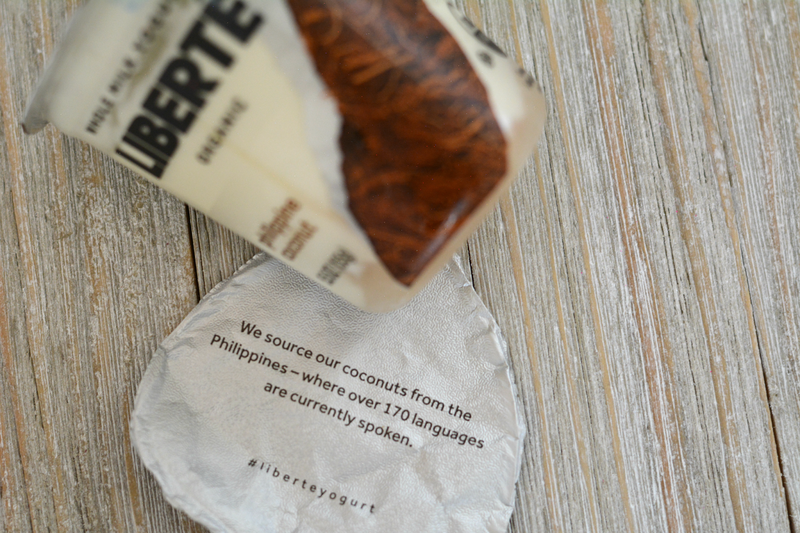 Have you tried Liberté Organic Whole Milk Yogurt?